Hey, Samsung, Better Job With Pie Updates so Far! It’s probably way too early for this, but Samsung is off to a decent better start with Android Pie updates. Before you freak and tell me that Pie was released back in August and they are still super late and should be screamed at, let’s talk about what Samsung has done so far that I like or that they at least deserve semi-props for. This morning, Samsung began pushing a stable Android Pie update to the Galaxy S9 and Galaxy S9+ in the US. So far, only the Xfinity Mobile versions are getting that update, but still, it’s a first update. They told us they were starting in January and have essentially hit that, even if it is for six S9 owners on Xfinity Mobile. UPDATE: Yep, Verizon’s Galaxy S9 phones now getting Pie! The major carrier models, like Verizon and T-Mobile’s, do not yet have the update. The unlocked model, which has been a part of multiple Android Pie beta updates, did not see the update today either. We also don’t have stable Pie builds for the Galaxy Note 9 or any of last year’s Samsung phones, like the S8 and Note 8. Still! This is better than last year. 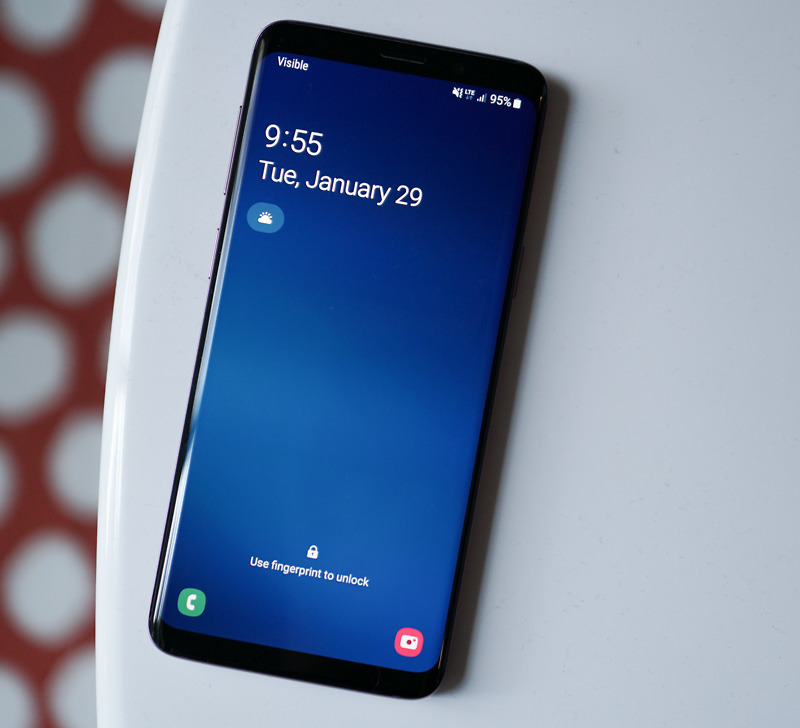 At the end of 2017, Samsung started Android Oreo beta programs for the Galaxy S8 and S8+. They didn’t deliver stable Oreo updates to an S8 or S8+ in the US until March of 2018. Most of the major carrier models all received it that month, while the US unlocked units were a week or two later. So for the S9 and S9+, we’re two months ahead of that schedule. And look, if the Xfinity versions are ready, Verizon’s shouldn’t be much longer since Xfinity operates on Verizon’s network. Don’t be surprised if Verizon pushes updates within days. But here is something else to remember – this isn’t just the Android Pie update. Last year, Samsung might have updated its Samsung Experience skin some with Oreo, but this year they are delivering an entirely updated UI in One UI. So not only are we getting Pie, we are getting a major skin overhaul from Samsung. It’s like a double-duty update that is two months earlier. That’s somewhat impressive! Do we thank Google’s Project Treble for helping? Probably some, yeah. After all, Qualcomm announced last year that its Snapdragon 845 platform was ready for Android Pie because of Treble and could help companies push the big update quicker than ever. The S9 and Note 9 run the Snapdragon 845, in case you forgot. Or maybe Samsung decided to care after years of not caring about updates? That’s the likely scenario. Pie probably isn’t that exciting to them, but One UI certainly is. And it’s exciting enough of a UI change that Samsung didn’t wait to show it off on the Galaxy S10 as a part of the sales pitch. Instead, they are giving it to S9 and Note 9 owners before the S10 ever gets here. We still may be early in this little bit of praise. Samsung could fail to release Pie to carrier and unlocked US models for weeks and piss us all off again. But as of today, with our first US carrier models getting the update, we’re ahead of last year’s schedule.